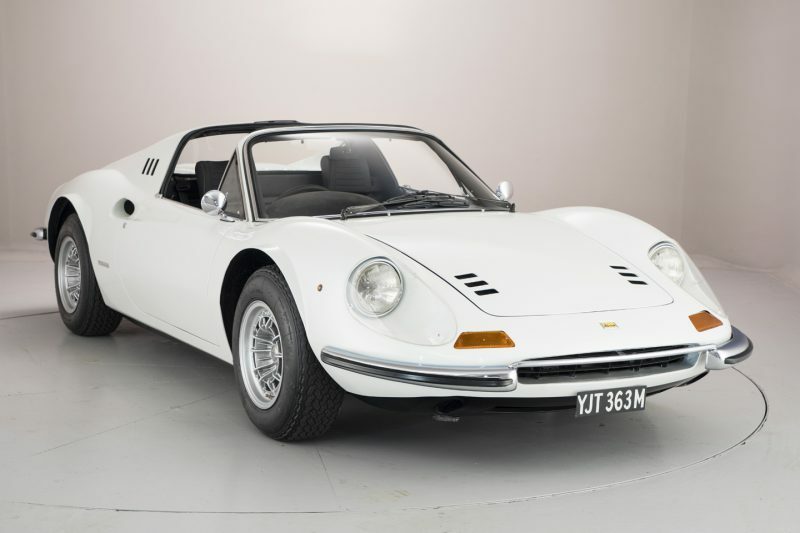 London-based classic car dealer Hexagon has a rather rare Ferrari for sale which comes from the 70s and is one of just 58 examples brought to the UK. 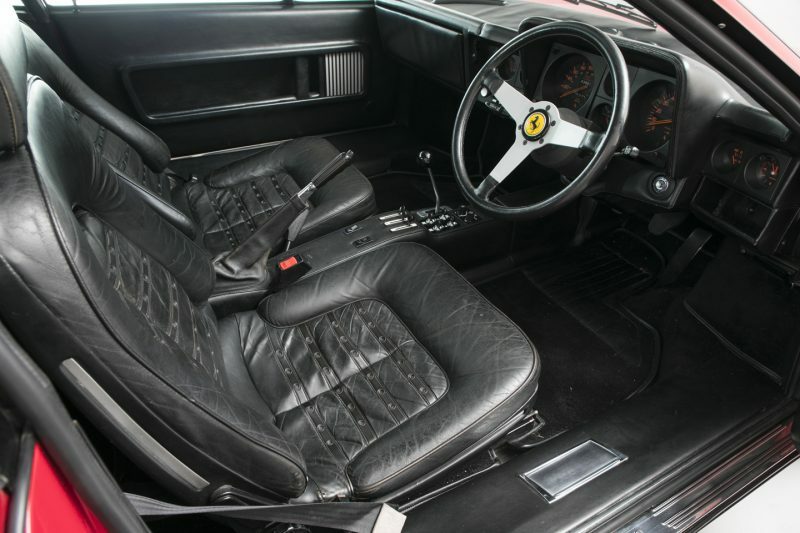 This particular example comes from 1975, not too long before it was replaced by the 512 BB in 1976. Why the BB? 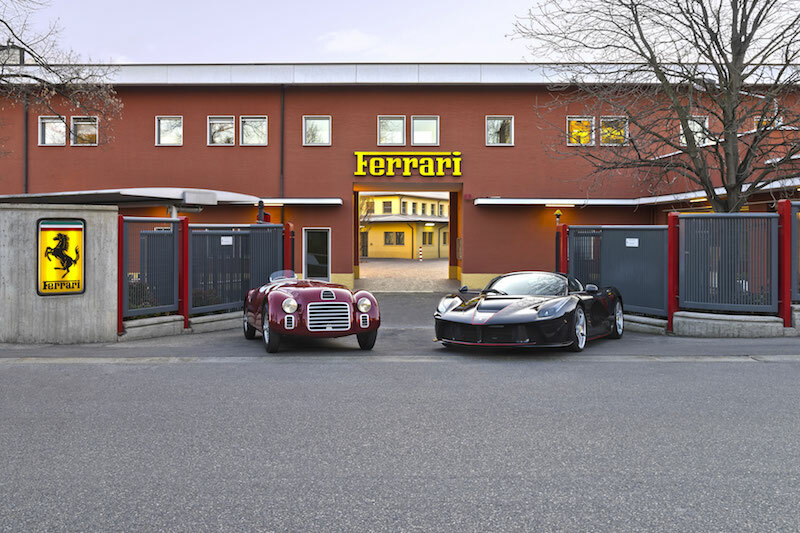 Well that stands for ‘Berlinetta Boxer’ which is an indication to the type of engine that sits beneath the Rosso Chiaro bodywork. 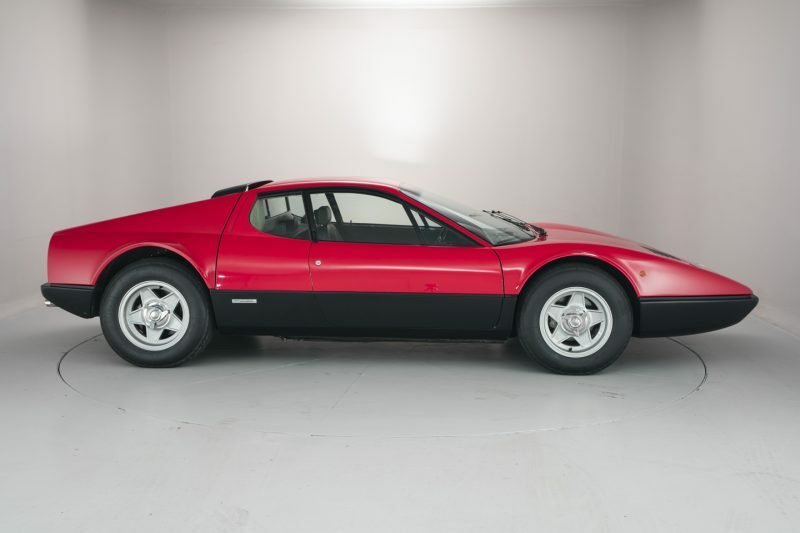 Boxer engines aren’t commonly found in Ferraris and in fact the 365 GT4 was the first road-going Ferrari model to use a mid-mounted flat-12 cylinder engine, which is 4.4 litres and is able to produce 380hp. 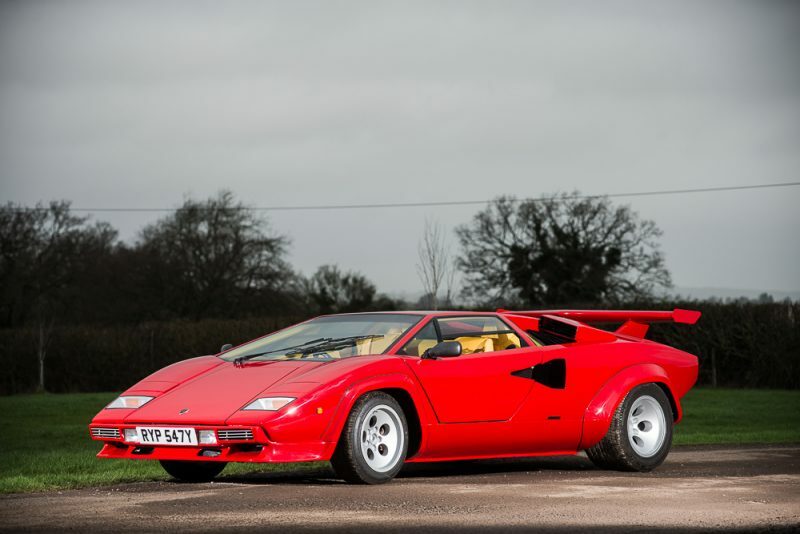 0-60 comes in a respectable 6.5 seconds and the top speed weighs in at 188mph – not bad for the 70s, eh? 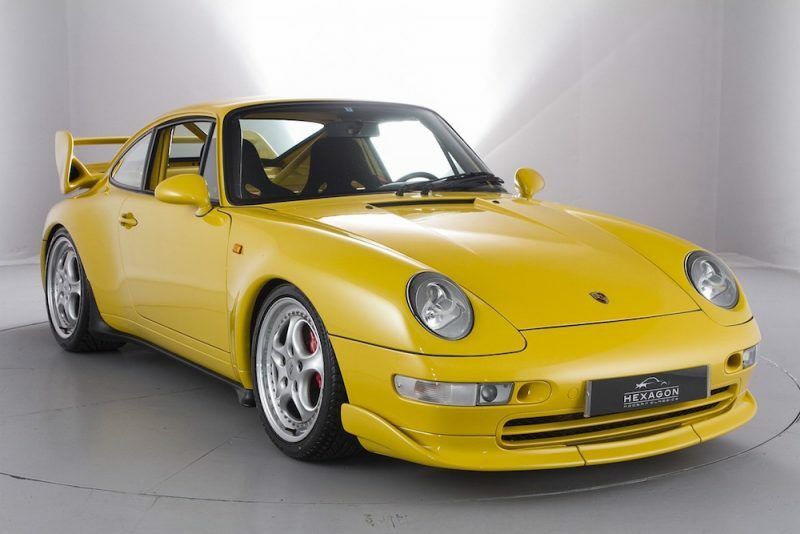 It may have been around the block a few times but this GT4 BB has covered only just 43,750 miles and comes with all the original keys, paperwork, manuals, etc. The car looks factory fresh in both inside and out, and what a fine specimen it is. 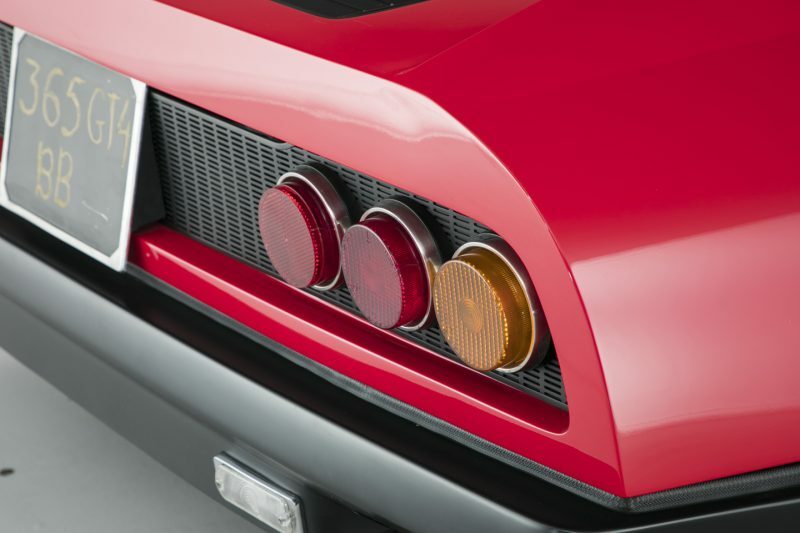 One of my favourite features of this Fezza are the triple rear lights which look fab. What does Hexagon say about it? 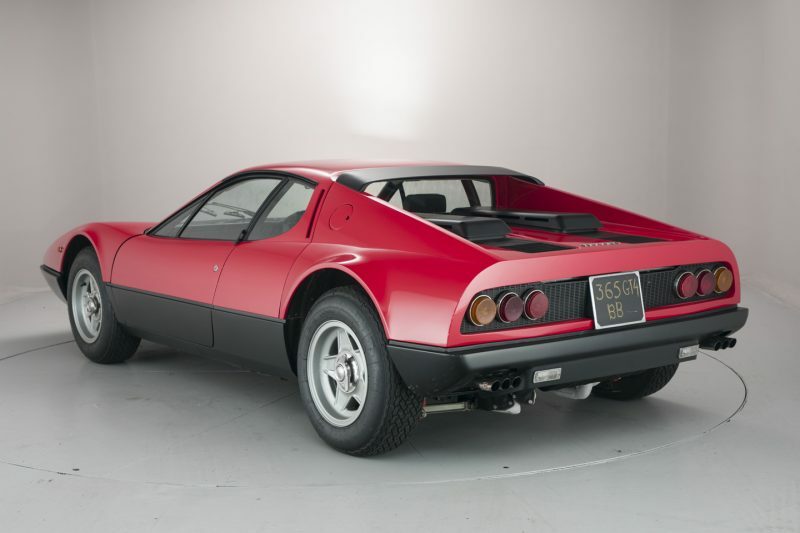 Hexagon Classics Chairman Paul Michaels said: “The 365 GT4 BB is rightly regarded as one of the ultimate boxer-engined Ferraris. 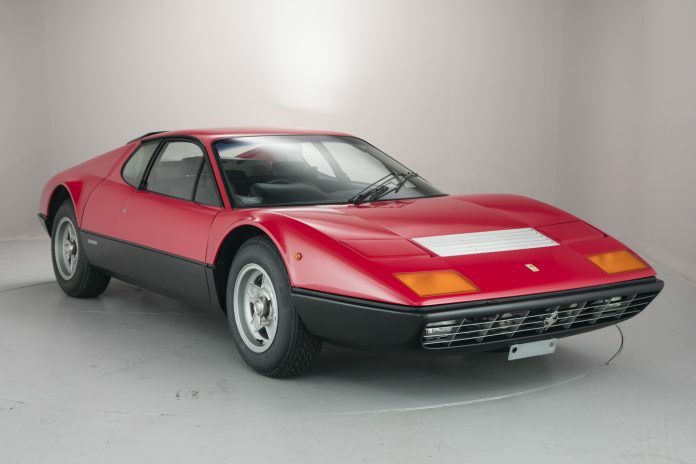 It’s the supercar that kick-started a long Maranello love affair with the flat 12-cylinder engine, which continued through the years with the 512 BB, 512 BBi, Testarossa, 512TR and finally the 512MM. 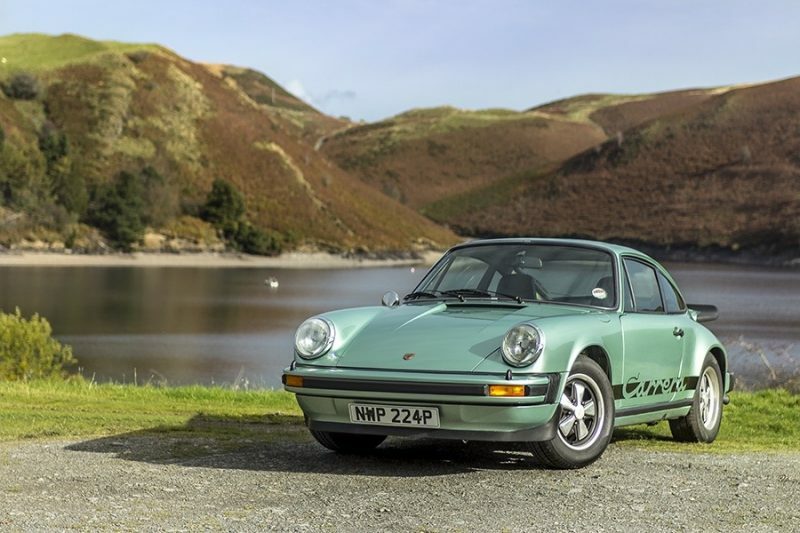 “The purest of them all, the 365 GT4 BB deserves a place in any classic car enthusiast’s collection and the example we are privileged to have on sale right now is outstanding. 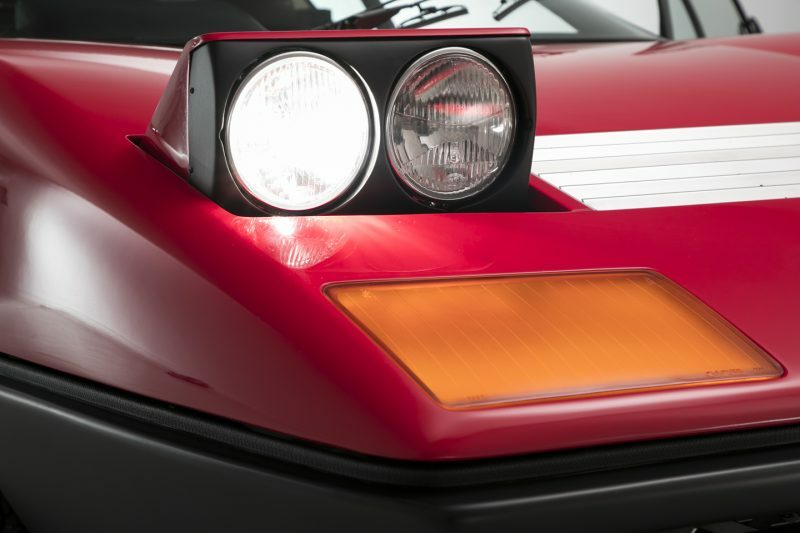 It has been treated to one of the most extensive, money-no-object restorations I’ve ever seen – but the work has not come at the expense of originality, with an interior that exhibits the most wonderful patina. Pop up headlights, what could be better?